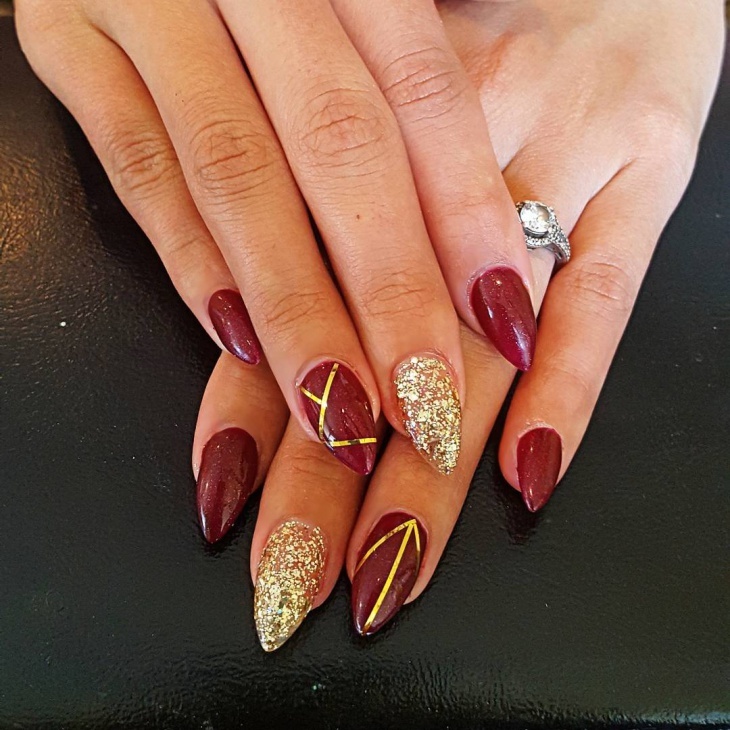 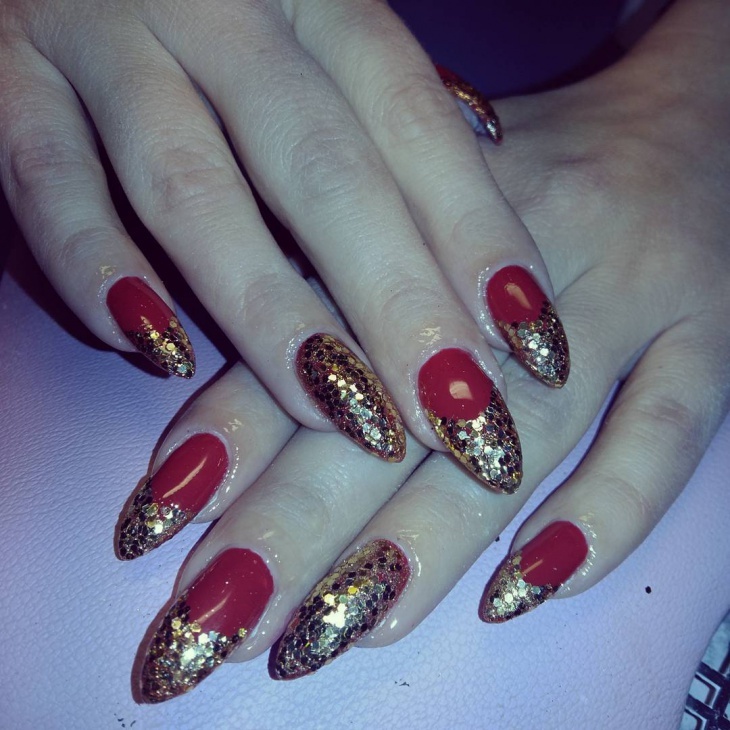 Gold on nails looks quite regal and is a popular choice for fashionistas and celebrities alike. 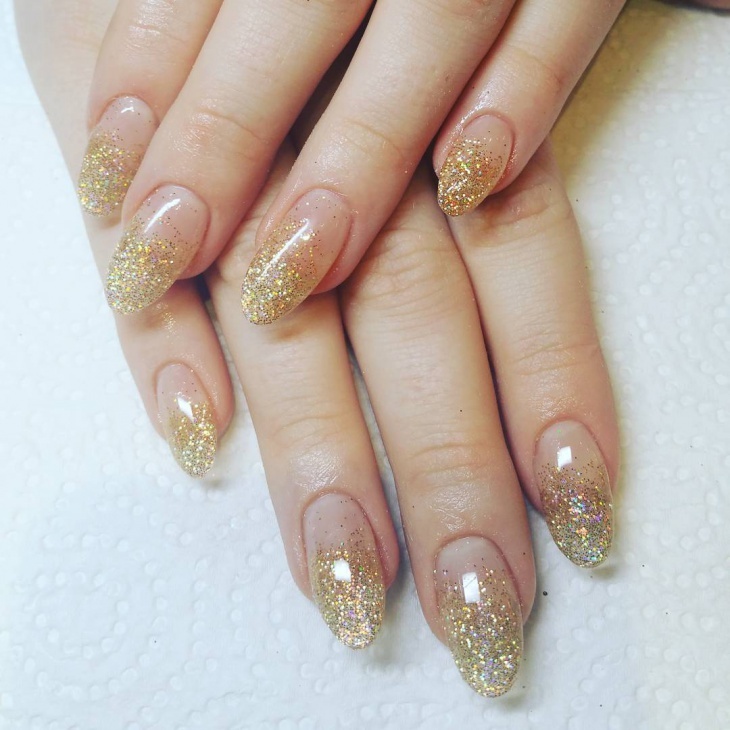 Gold glitter looks pretty attractive on the nails and can go well with almost all colours of outfits. 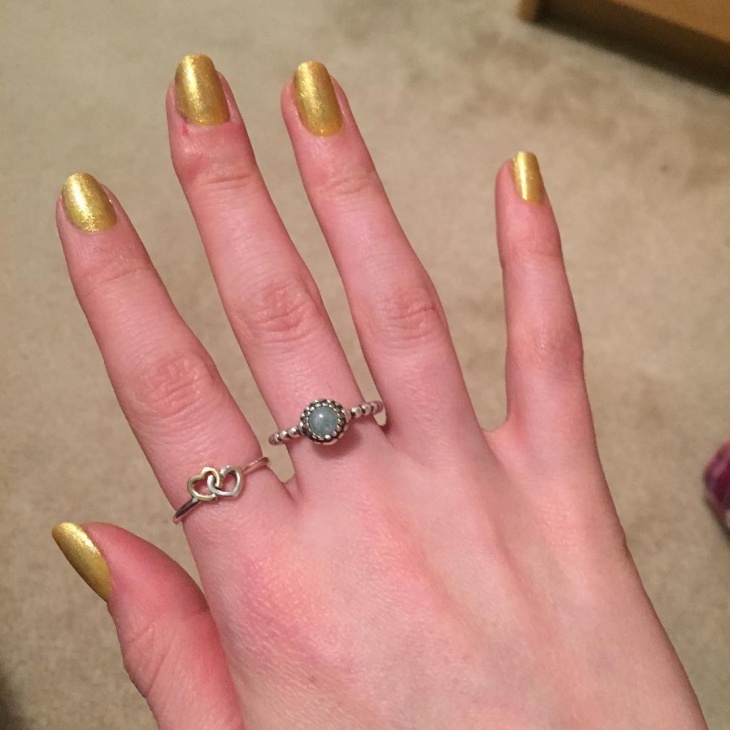 Probably this is the reason why so many women prefer this royal colour. 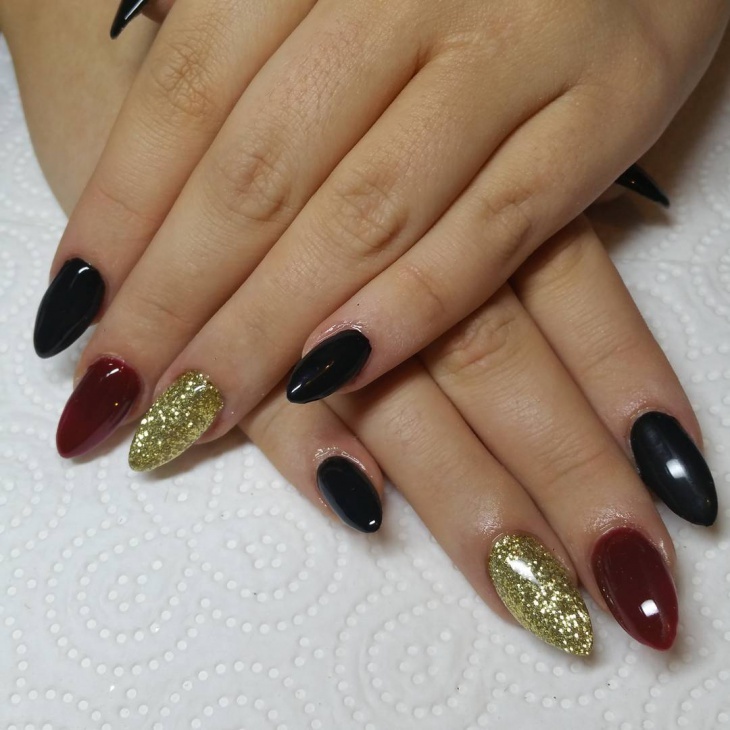 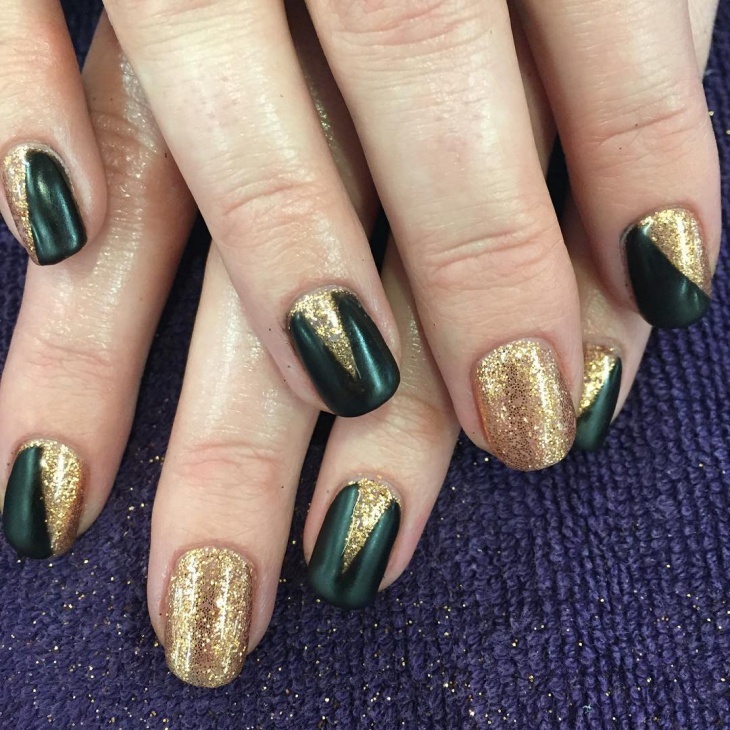 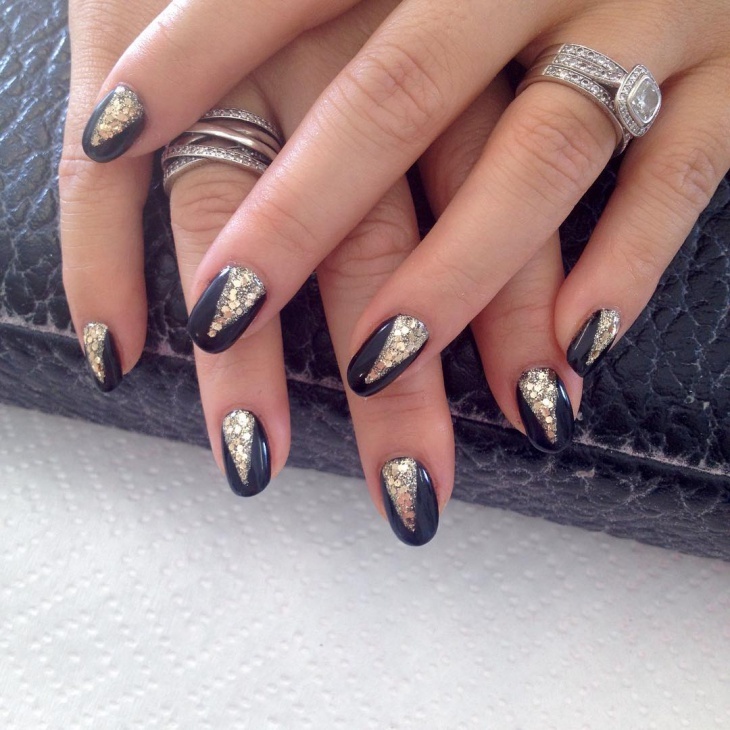 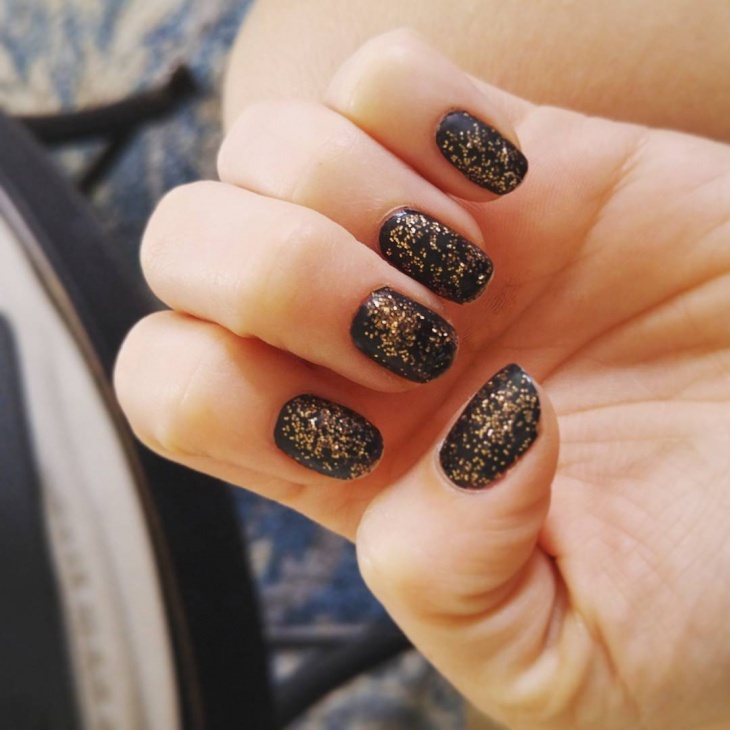 Gold glitter nails work best with long plain outfits in black, red or even white. 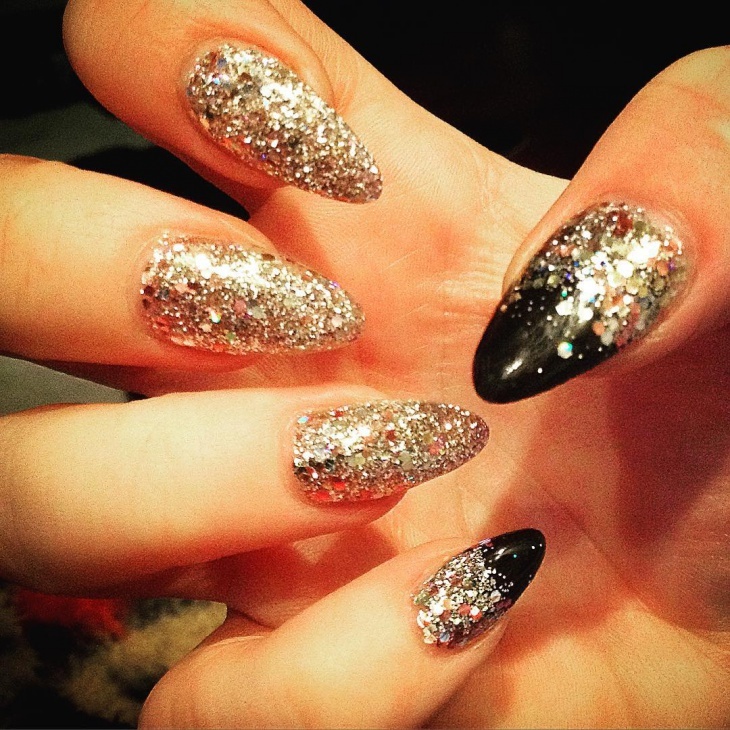 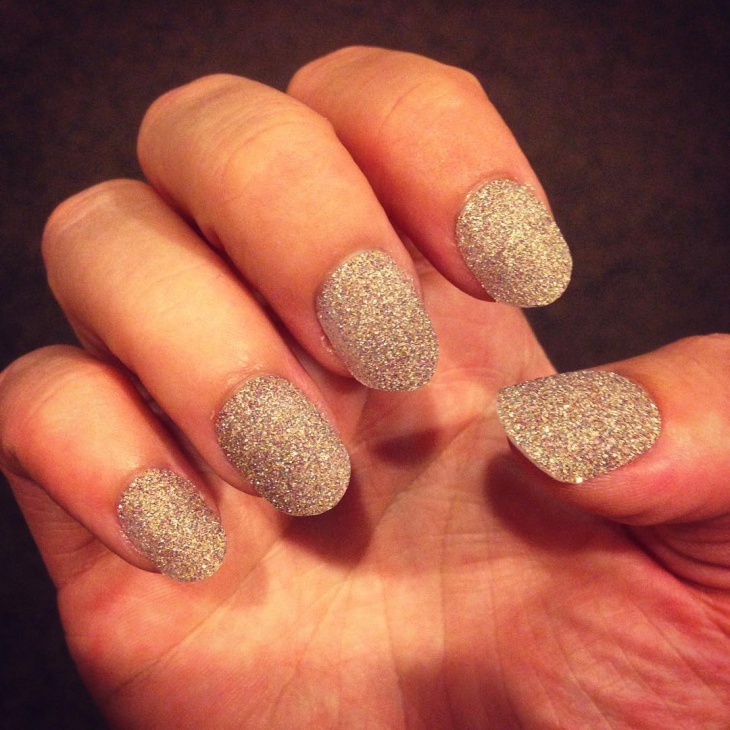 Glittery nails are a sure fire way to turn heads in a party. 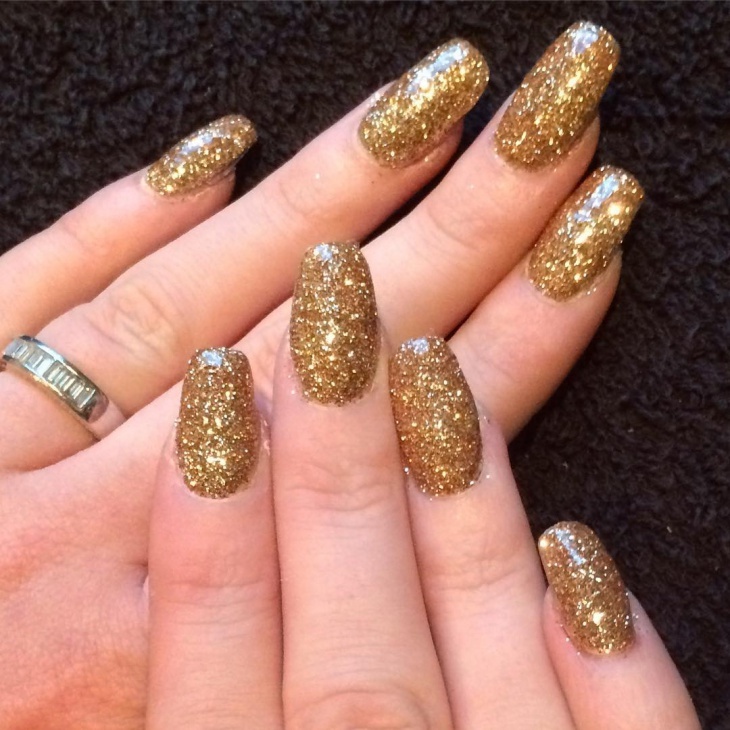 Gold glitter looks extra pretty as the colour gold adds a touch of royalty as well as adds bling to your clothing. 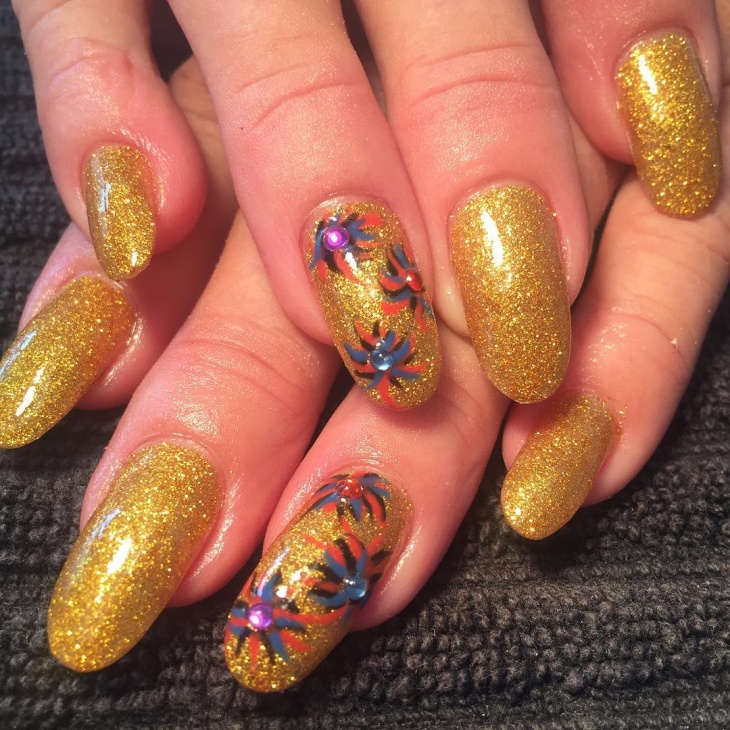 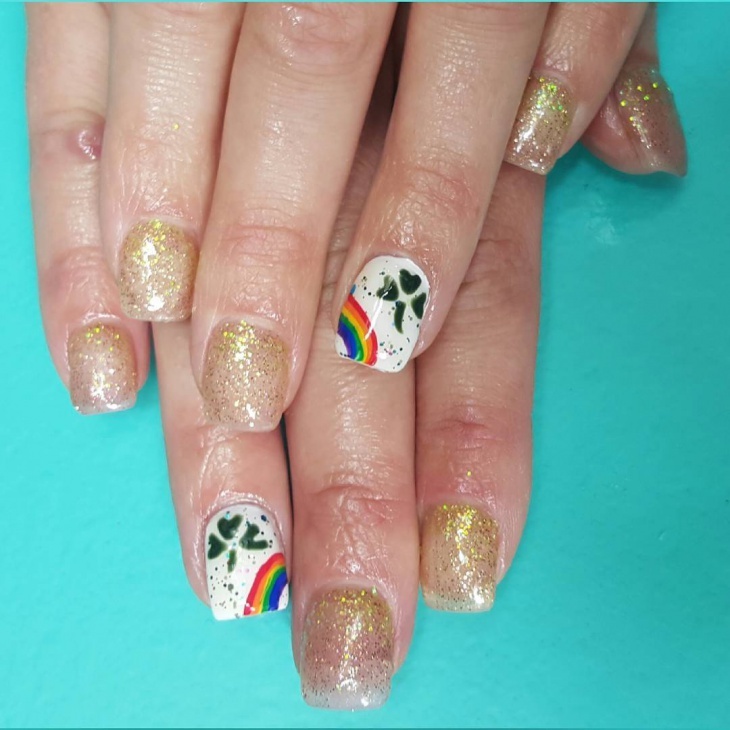 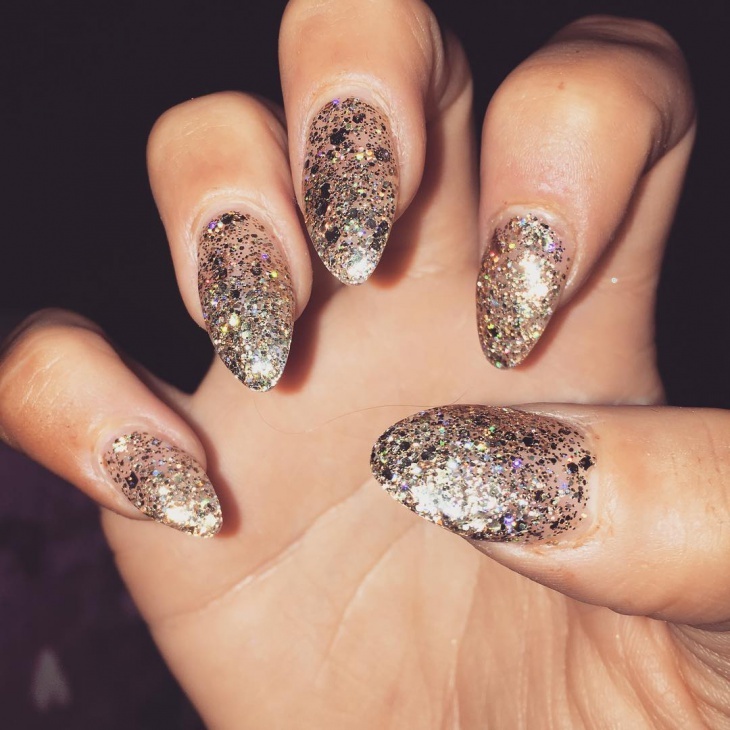 A gold glitter nail polish can be used to mix and match with other nail art designs. 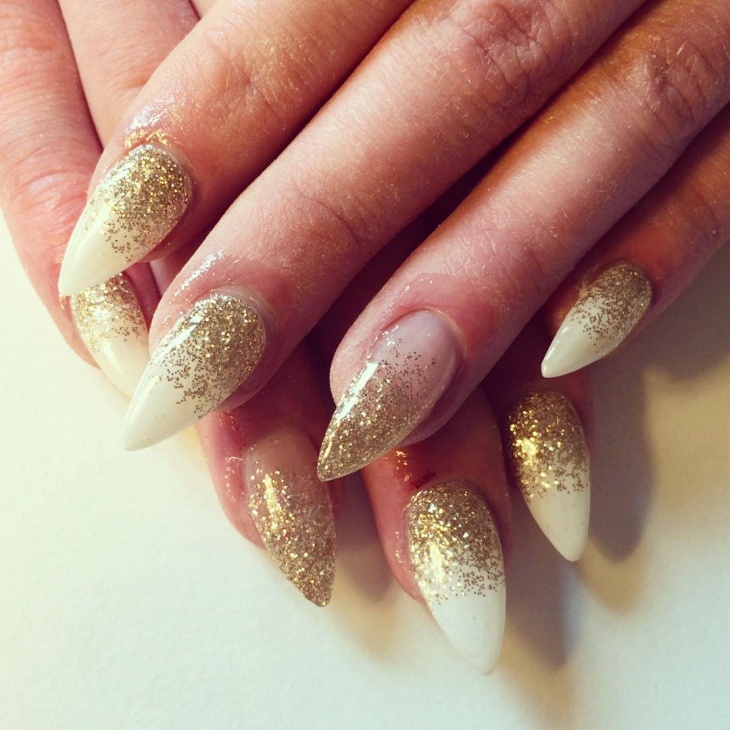 One can go for a gold glittery nail in one or two fingers and pair it up with almost any colour. 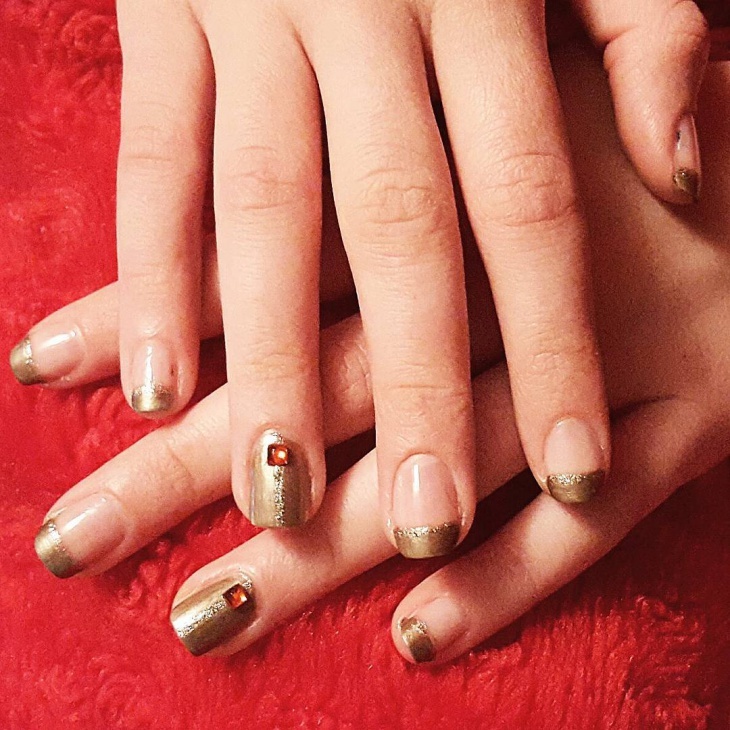 Pink, black, red, peach, mint and other pastels look best with the golden polish. 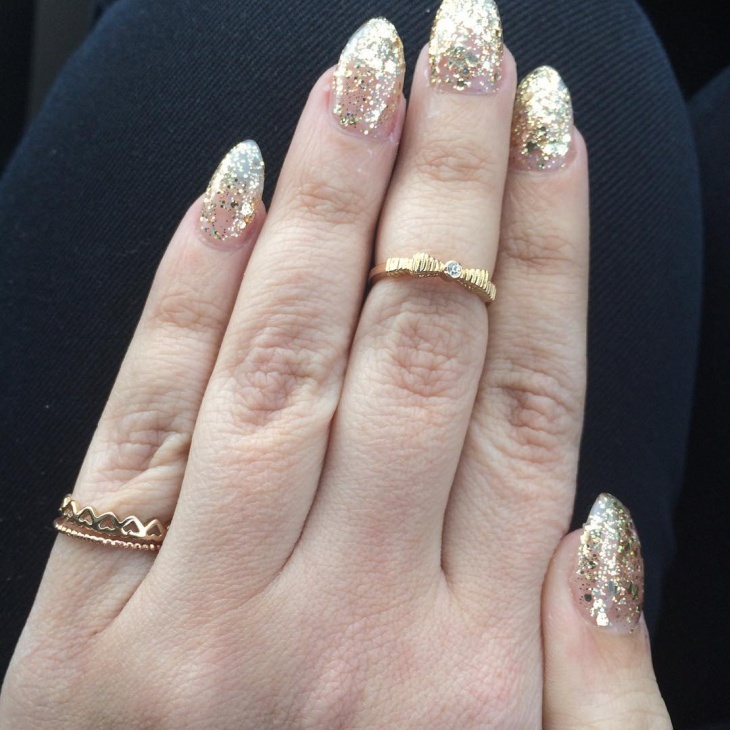 When donning gold glittery polish, one must keep in mind certain style mantras. 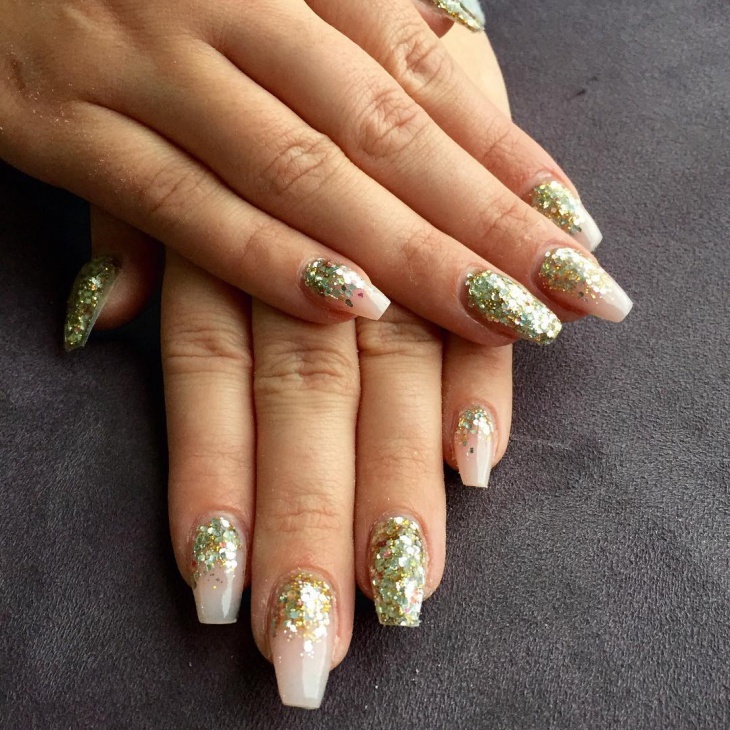 Like for instance, one must completely avoid prints and should go for plain outfits since the nails already add the much needed bling to your overall appearance. 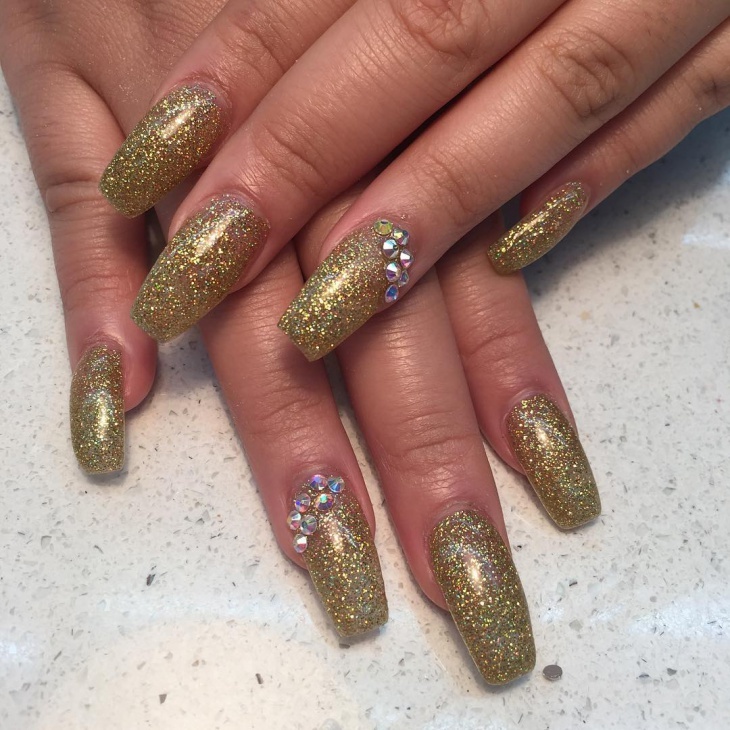 Some of the best gold glitter nail polishes available are The Man with a Golden gun from sky falls collection which actually consist of real gold flakes, Nicole by OPI glitter In My Stocking, Sephora by OPI Worth My weight, China glaze blonde bombshell, Essie As Gold As It Gets and so on.